Nov 30, 2015 in "Jedi Training - Trials of the Temple"
The construction walls are down to give us a first look at the new Jedi Training: Trials of the Temple stage at Disney's Hollywood Studios. 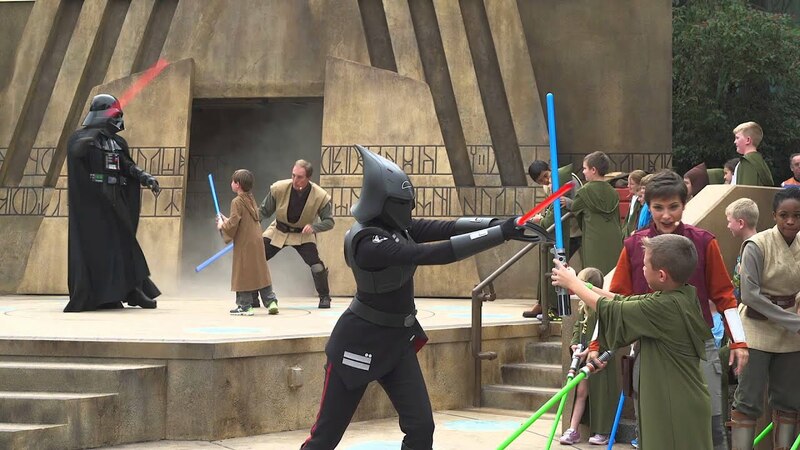 Themed to an ancient Jedi temple, the new experience will give younglings a chance to face Darth Vader and the new villain from the Star Wars Rebels TV show - Seventh Sister. Thanks to @VirusElite524 for sending in the photo. More from "Jedi Training - Trials of the Temple"